The key ingredient of Moroccan black soap is olive oil. It is made by adding pureed black olives to Moroccan olive oil. The olives are blended till they are incorporated into the oil and form a pudding like texture. Potassium hydroxide is added to the mixture as opposed to sodium hydroxide which goes into the making of regular soap bars. The mixture is then heated. It turns darker and thicker on heating. Once it is cooled it can be placed in containers that can accommodate the quantity of soap prepared. The texture as mentioned before remains buttery. Both soaps have a rich history and are fantastic at cleansing both for body and as a shampoo and also for healing the skin. You can see from the ingredients that these soaps don’t contain the same things. 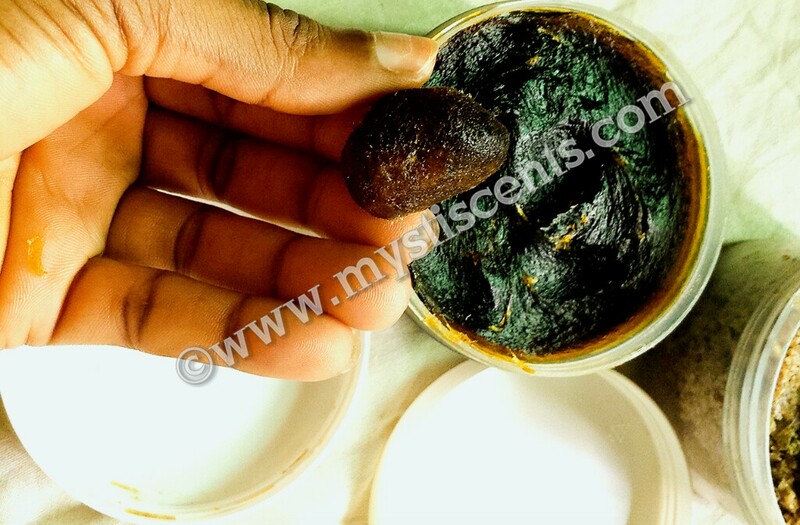 While West African black soap contains plantain skins, cocoa pods, coconut/palm oil etc, Morrocoan black soap contains mostly olive puree, olive oil and/or argan oil with some eucalyptus oil or the leaves. Olive oil has a high content of Vitamin E which ensures smooth and velvety skin. You dont need more than this quantity for a treatment. 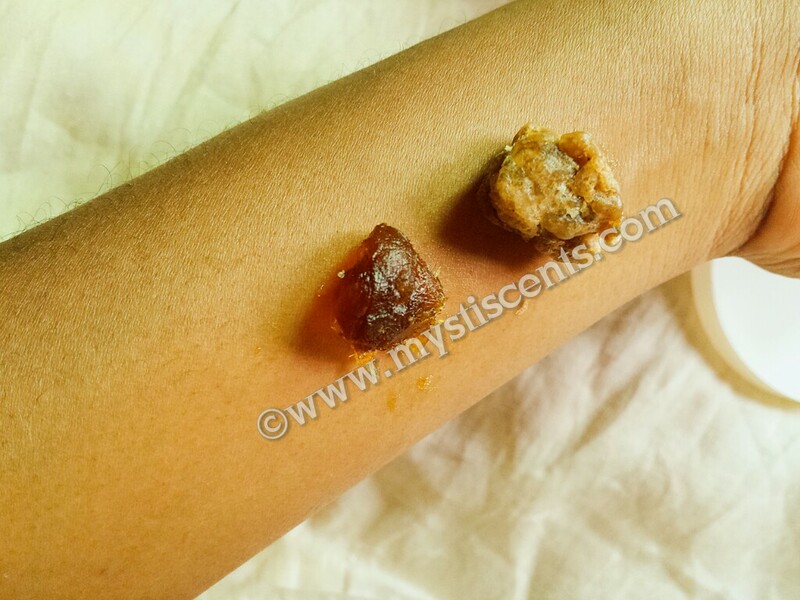 While West African black soap is mostly used by chipping off some soap from the block and using it with a loofah, Morrocan black soap is mostly a spa treatment. It is used in local & international spa salons to exfoliate the skin with the help of the Kessa glove. The “Kessa” exfoliating glove is the cornerstone of a successful “At-Home Hammam” experience. This glove is made of tough stuff, and when combined with the softening effects of black soap, it will leave your dry, dead skin in the dust, literally. Some even describe seeing their dead skin rolling off their body! They both smell quite earthy. 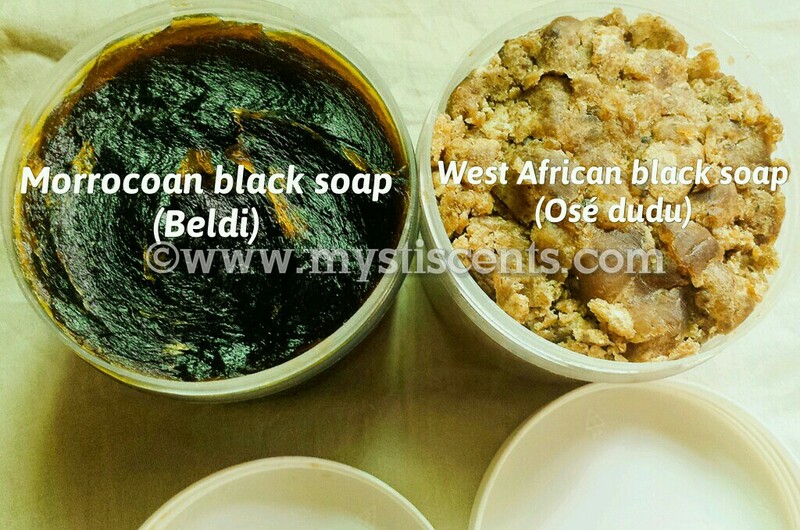 Morrocan black soap is more buttery in consistency while the West African black soap is harder unless it has been mixed with a lot other stuff to soften it up.